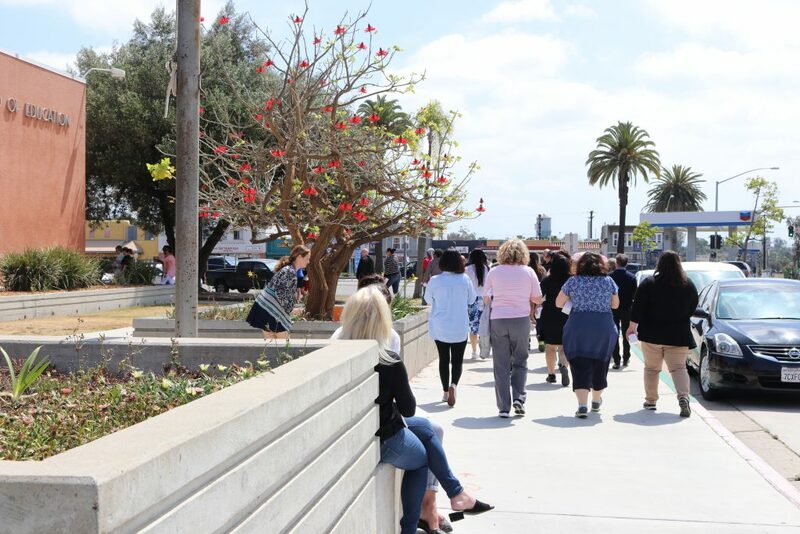 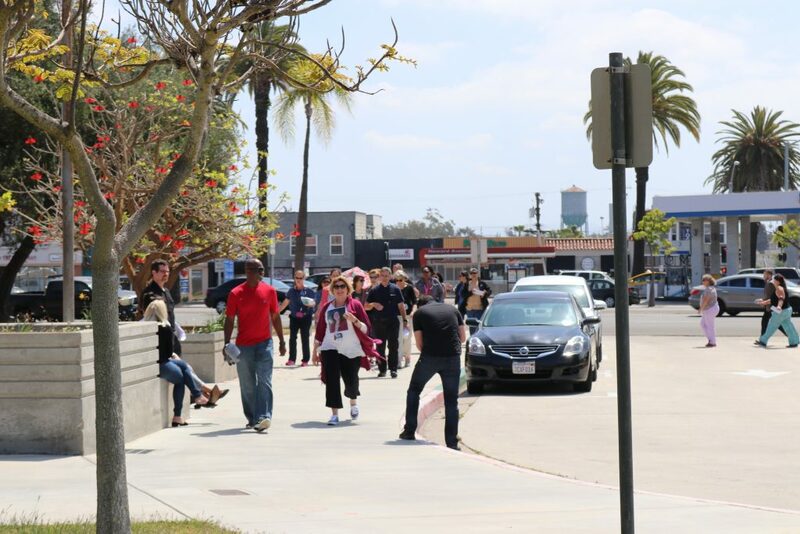 The San Diego Unified School District (SDUSD) Eugene Brucker Education Center (Ed Center) kicked off their site’s wellness week with a group walk led by staff from Superintendent Cindy Marten’s office. 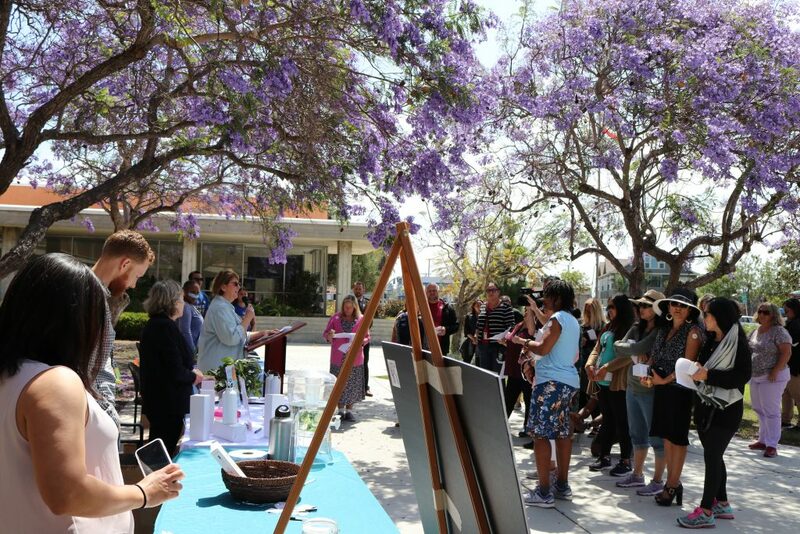 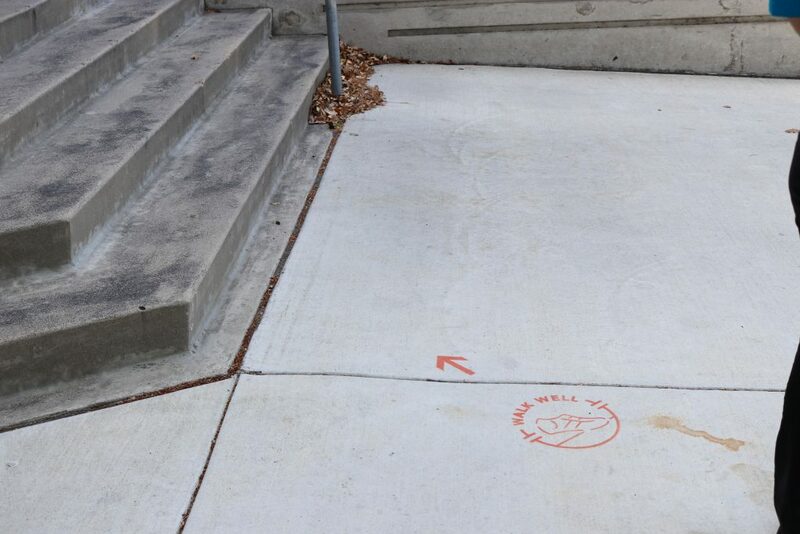 The walk celebrated the Ed Center’s newly installed Walk Well walking routes on and off campus designed in partnership with Live Well @ Work in an effort to encourage employees to be physically activity throughout the workday. 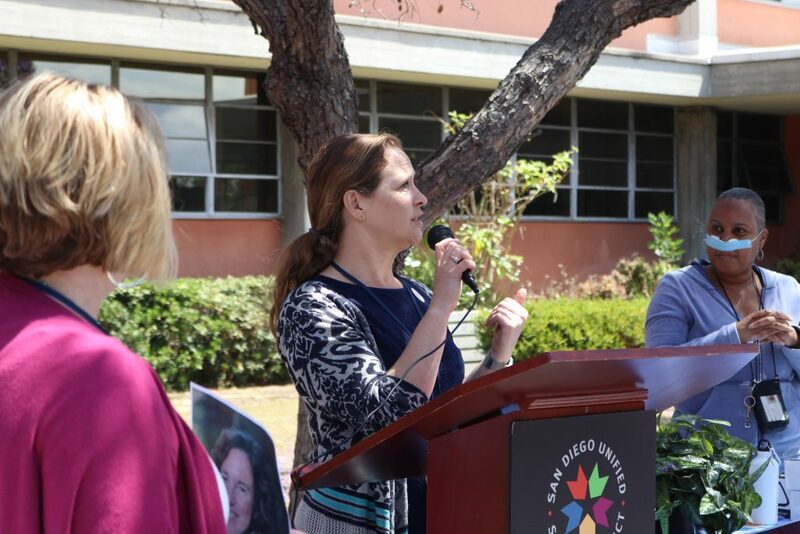 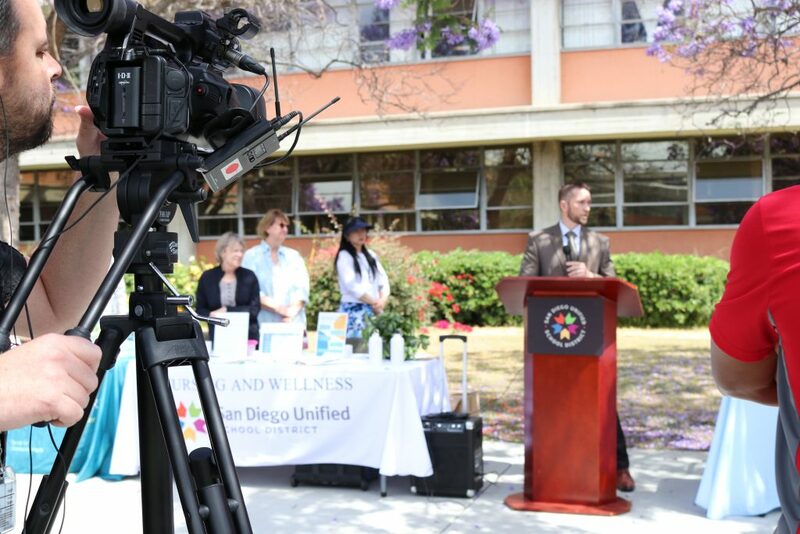 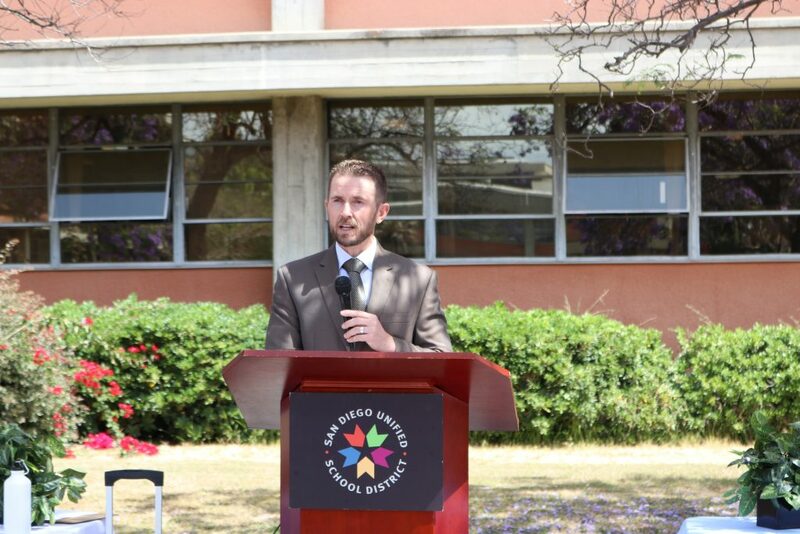 The event featured San Diego Unified School District leadership that spoke to the district’s commitment to employee well-being, as well as the importance of taking active breaks and encouraging walking meetings as a key part of employee health. 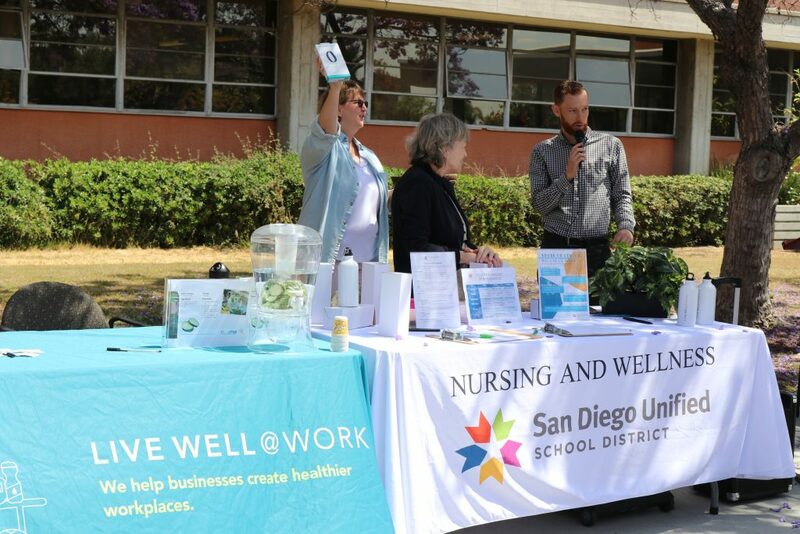 Live Well @ Work provided reusable water bottles and offered samples of fruit-infused water to attendees to promote healthy hydration before the walk. 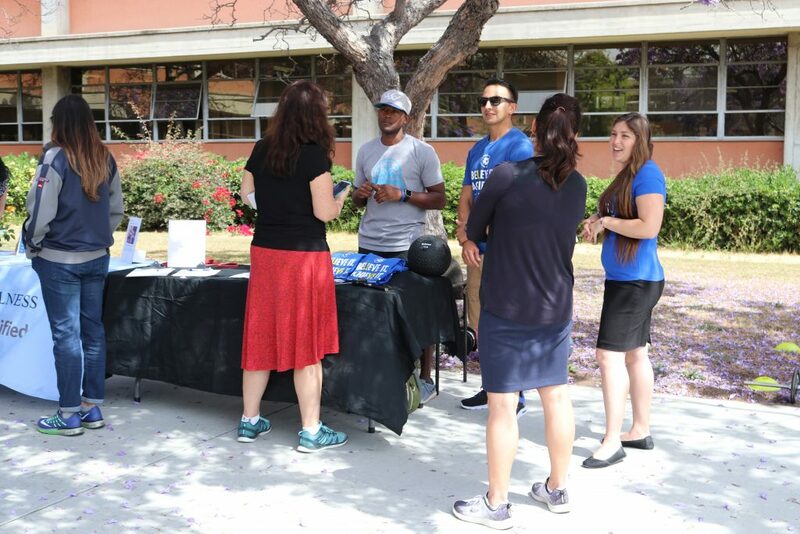 WilWin, a fitness provider that offers weekly circuit-training classes to employees at the Ed Center, also attended to encourage increased physical activity on campus. 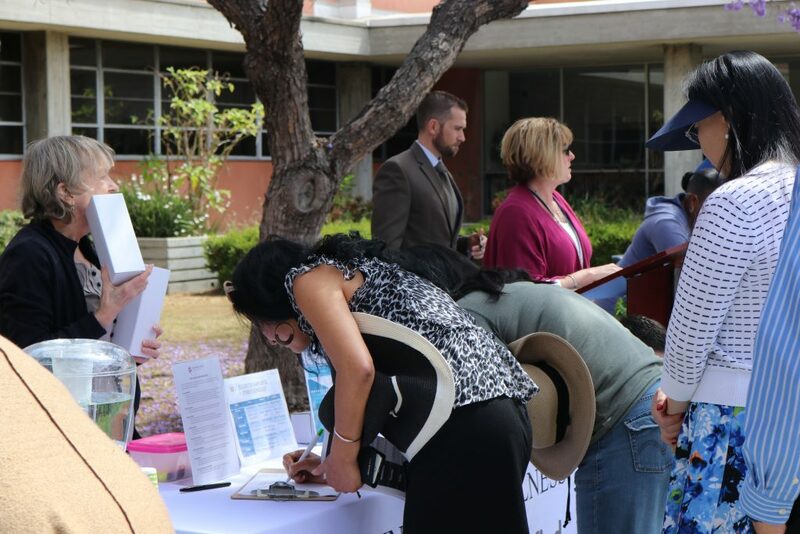 With over 50 employees in attendance, the event was a major success for the district and highlighted SDUSD’s focus on employee well-being.